“The Sarco was developed by Exit International, which bills itself as an “aid-in-dying” organization. The machine includes a base topped by a translucent chamber perfectly proportioned to comfortably fit a human. 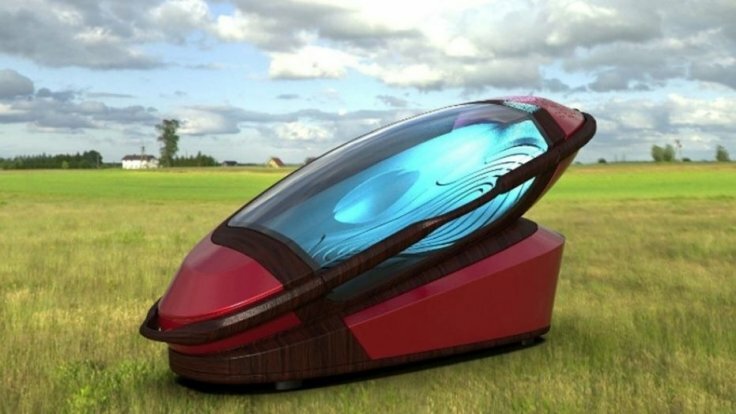 After settling in the pod, the user will push a button and the chamber will start to “fill up with liquid nitrogen to bring the oxygen level down to about 5 percent.” Around the minute mark, the user will become unconscious, experiencing almost no pain, according to the Newsweek report. (The doctor describes the changes as akin to “an airplane cabin depressurizing.”) After death comes, which is fairly swift, the chamber can be used as a coffin. The base, just FYI, is reusable.